Sept 5—In the final day's blog I mentioned that the drivers and trackers witness a continuous soap opera from the stories the animals provide. 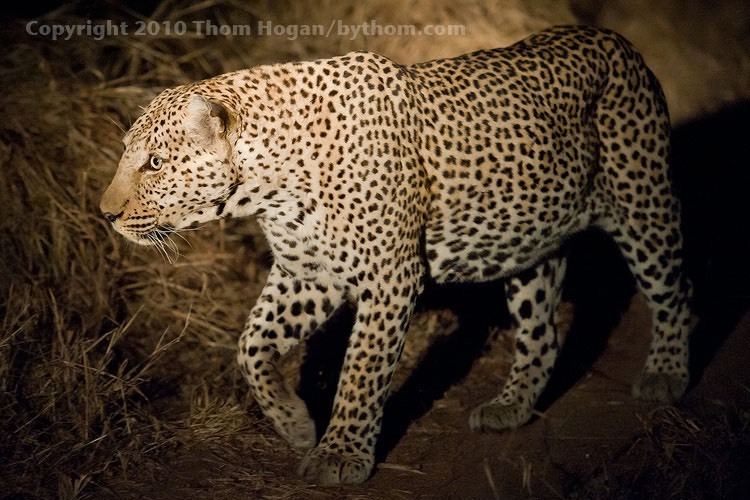 Today I got an email from Anton, one of the drivers: one of the male leopards that we photographed at the South Africa workshop (during our night drive, amongst other times) has died. We all had noticed that it had a badly damaged ear and other small wounds, and I speculated that I thought I could see infection, though the guides were unsure. As it turns out, this leopard, the Tjellahanga Male, was the one that apparently took the lion cub. This was the second time that had happened and the lions weren't happy. When they found the leopard with their second dead cub, a fight ensued, and the lions won (see below). 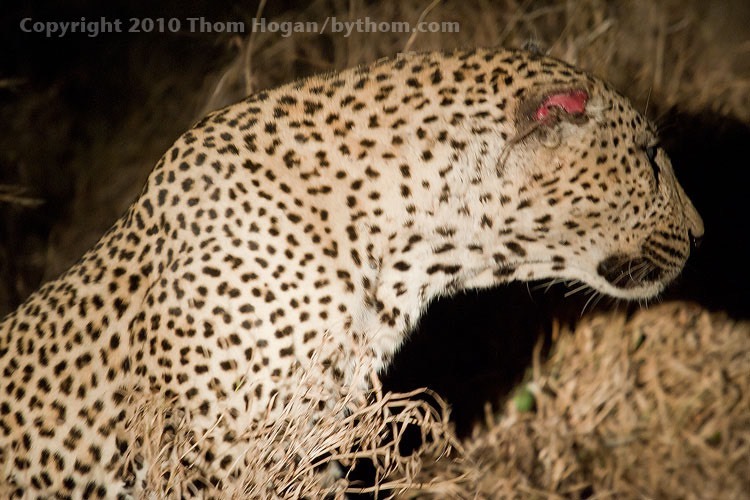 This leopard died from his wounds about week after we photographed it, and was soon consumed by hyena. From the Kirkman's staff: "Never again will the following be heard on the radio: 'Stations, I've located...the Tjellahanga Male.' Tjellahanga, I salute you and thank you for the many hours I had the privilege of spending in your company. Your offspring will haunt the riverine forests around the San River for decades and your legacy will continue forever. You will be missed, but never forgotten." That's 170mm, ISO 6400 in case you're wondering. Not the best picture, I'll admit, but it's the only one where I've got a full on shot of the damaged ear. The young leopard cub that we photographed on the last day is now in danger. The other nearby male leopard is most likely going to try to kill it so as to bring the female back into estrous. He might have tried that earlier, but the male that died—and who fathered the cub—would have protected the territory and den from such an intrusion. Life in the wild is harsh and sometimes cruel. The soap opera of daily life in the veldt often has tragic stories in it. I mention these things for a reason: the private reserves in South Africa are indeed wild. They form an extension to Kruger National Park that differs only in ownership and how visitation is handled. The camps in Sabi Sands and Timbavarti do nothing to interfere with Mother Nature. At the same time, a lodge like Kirkman's Kamp knows the animals in its territory extremely well, and can thus tell you the full history of any given animal. Should our much-photographed cub survive, I'm sure that the guides at Kirkman's will be telling its story and how it managed to escape genetic destruction from the nearby male. Check back with me in a couple of years, when I return to Kirkman's and see what's new (or come yourself by signing up for my 2012 South Africa workshop). Those of us who photograph in the wild learn to appreciate the wild. Every day there are many stories being told in the wild. The lucky photographer manages to capture a few of them for posterity (or at least a bit of the story). Hopefully, I helped my workshop students do just that. Next up, another wildlife workshop and more students, this time in Botswana. And more stories. Many more stories. 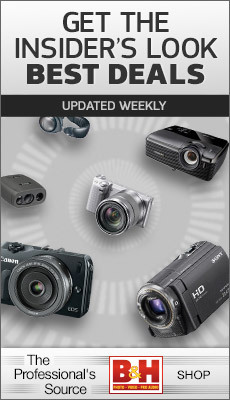 But first we'll have one more "between workshops" day, where I go over equipment.